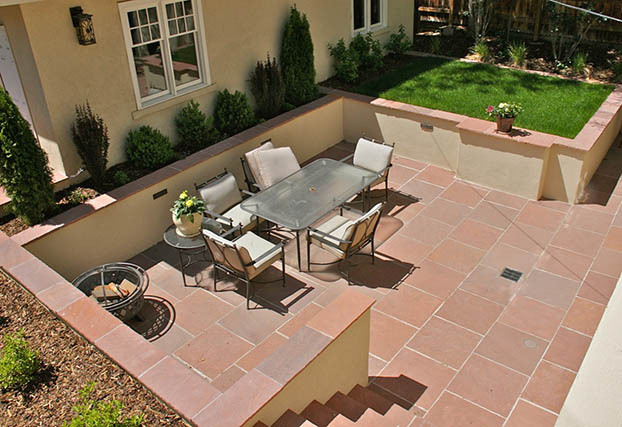 Lyons Sandstone Is a family owned and operated Quarry and Fabrication company based in Colorado. 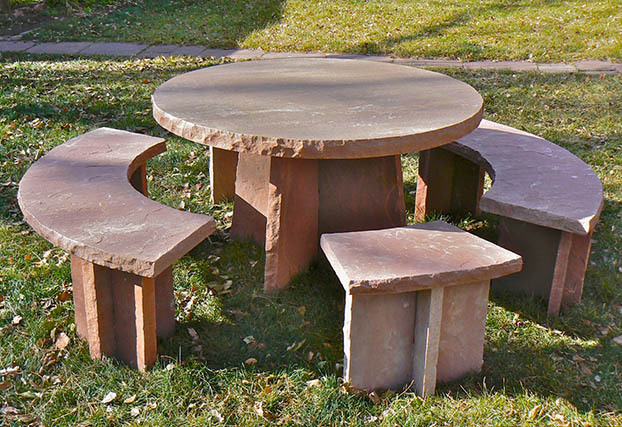 We mostly work with sandstone, but are expanding our line quickly. 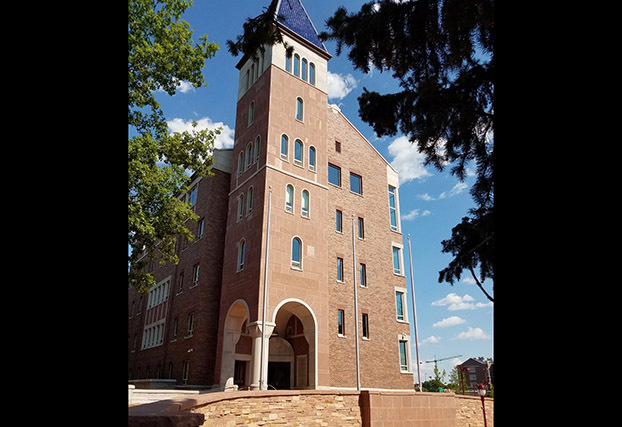 Our primary product is Colorado Red Sandstone, the iconic stone of Colorado used at the University of Colorado in Boulder and Red Rocks Amphitheater. 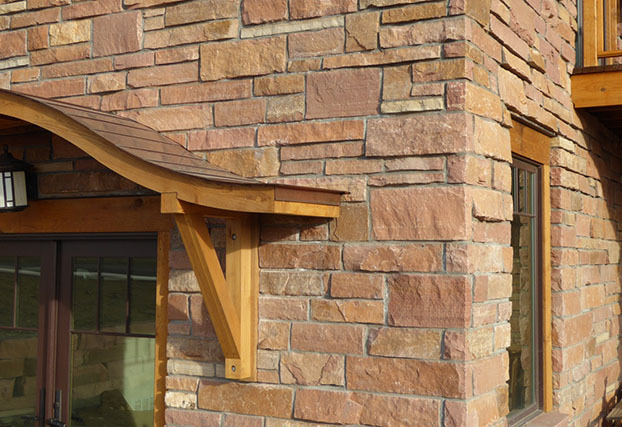 We recently located a ranch in southern Colorado with a beautiful buff sandstone deposit. We are partnered with them to produce Prairie Gold. 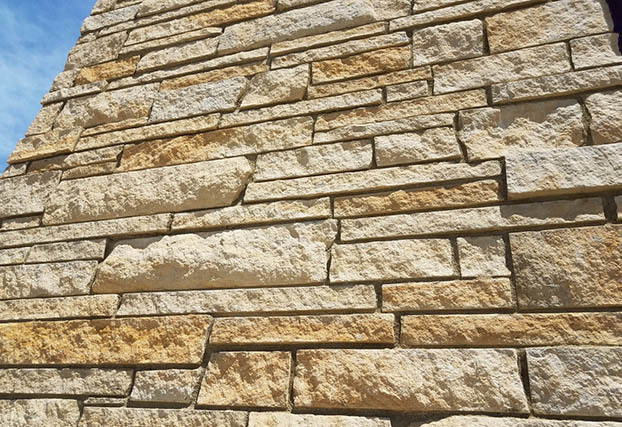 Prairie gold Panels (Sawn face, Cut face and Natural cleft): Prairie Gold panels with different finishes provide accents and variation in texture. 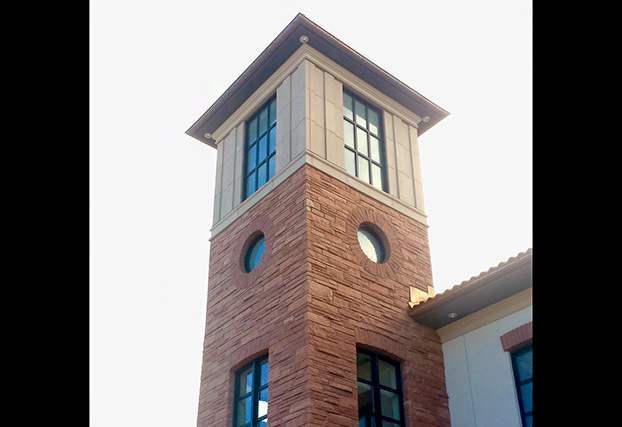 Stone clad tower with Seam face retaining wall: Natural stone ties your architectural and landscape elements together. 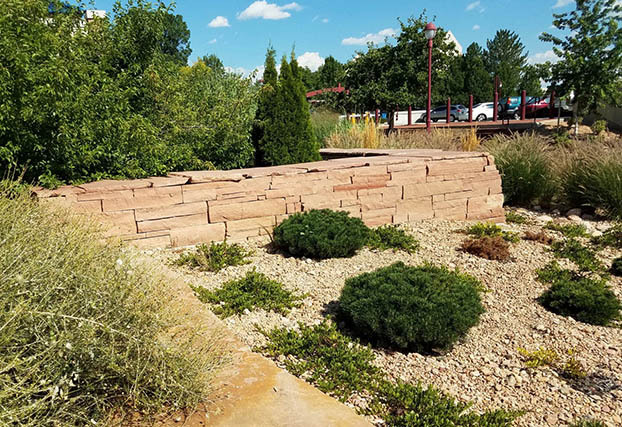 Block and slab sitting area- downtown Boulder Colorado: Quarry blocks are both Landscaping elements and naturalized sitting areas. Cut face Veneer with Wedge cut circular window: Simple or Ornate. We can provide what you need whatever it is. 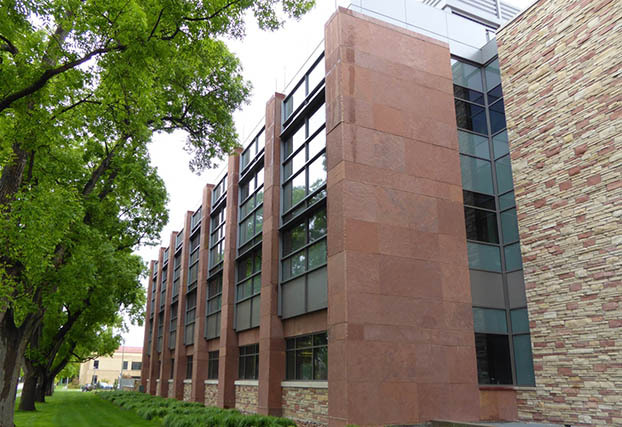 Gauged Prairie gold veneer: Gauged Veneer provides perfect drystack joints and installs quickly. 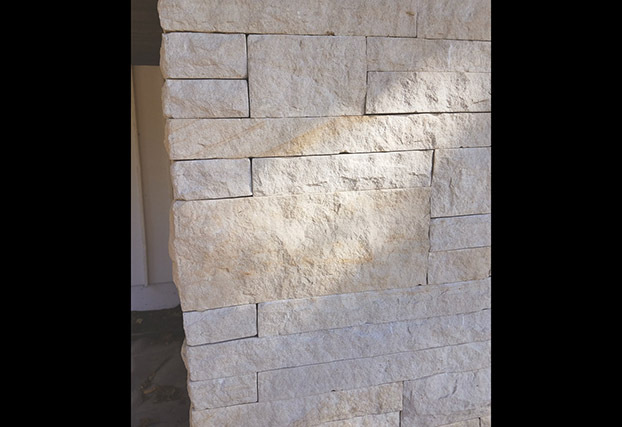 Full width Dry stack wall: Stone landscaping elements are beautiful, unique, long lasting and stand out. 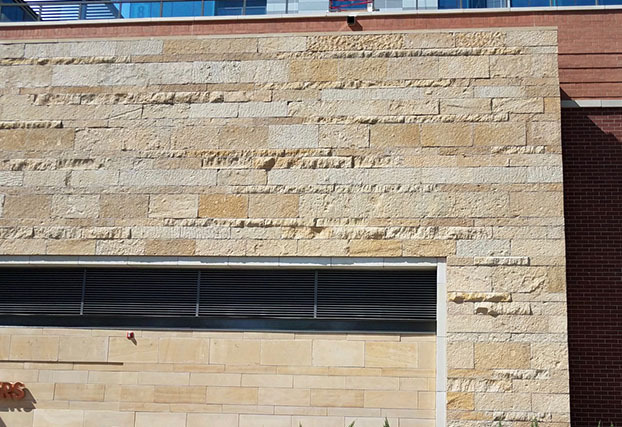 Lyons Red and Prairie gold panels: Natural Stone panels Lyons Red or Prairie Gold make a building stand out. 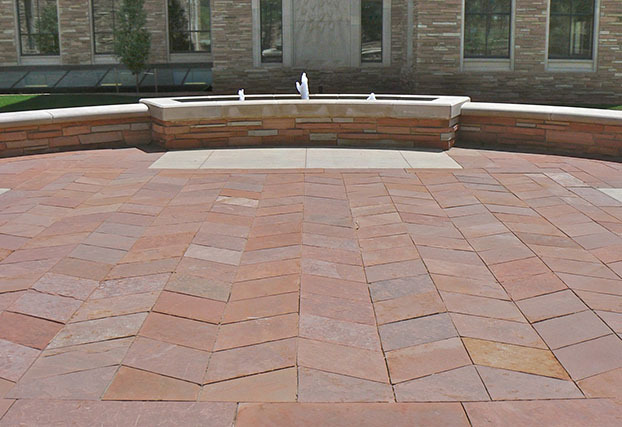 Trapezoid Cut Pavers: Cut pavers are perfect for institutional and governmental applications. Durable, long lasting. 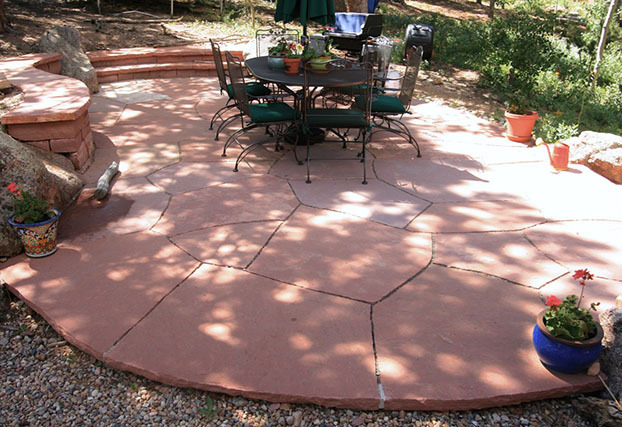 Residential pavers and Capstone: Lyons Red residential patios with pavers install easily and look great forever. Seam face Veneer blend: Seam-face veneer offers a range of complimentary colors in a single product. 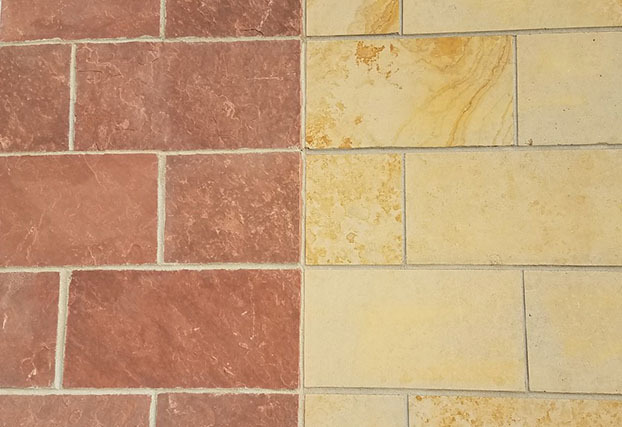 Prairie Gold is a new golden buff sandstone. 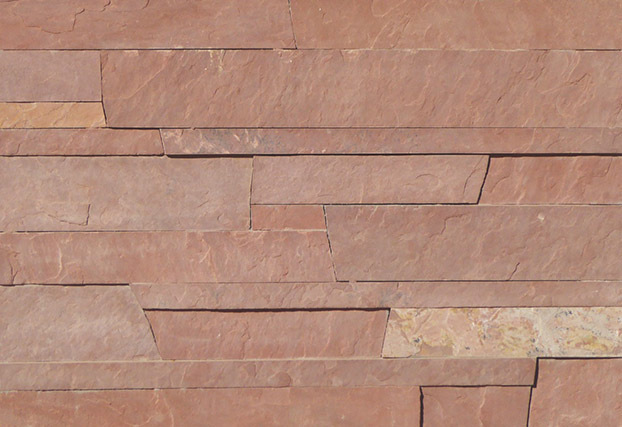 It is unique among western american sandstone in that it is a larger block material which lends it to making gauged veneers and sawn surface pavers and cladding. This product will result in fast and perfect installation in comparison to random thicknessed material. Thin veneer: Oline of red thin veneer offers more options and qualities that no other fabricator can match. Because we roll our stone up on it's side relative to other thin veneers, you get to see the natural cleft face of the stone Rather than the cut side. 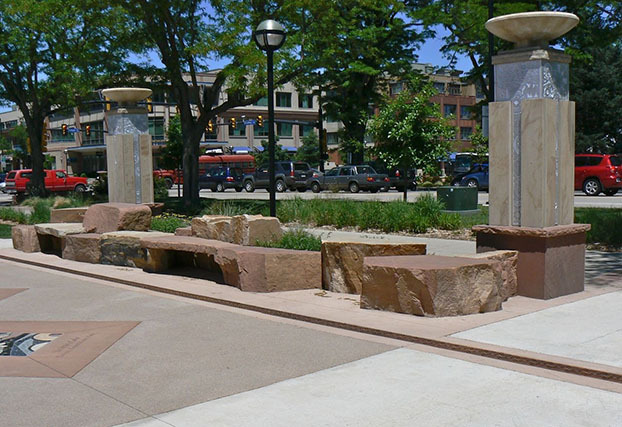 Lyons Sandstone was one of the originators of the NSC 373 Sustainable quarries standard. 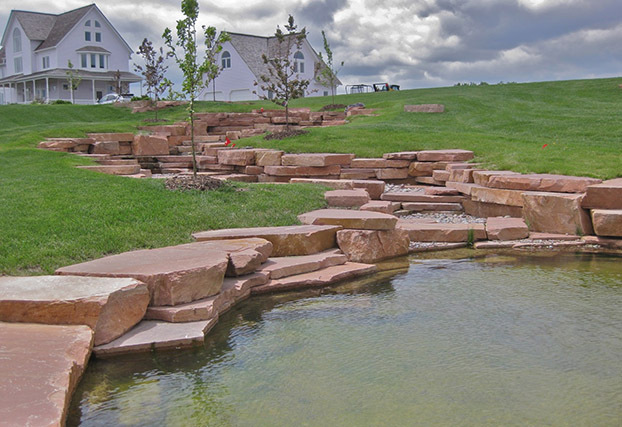 We are an industry leader in small quarry environmentalism.